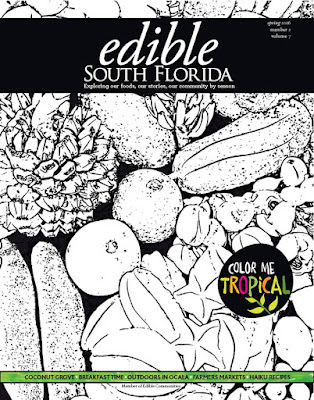 "Israel to Miami via Philadelphia" - Edible South Florida magazine, Fall 2017 (an interview with Michael Solomonov and Steven Cook featuring Dizengoff and Federal Donuts). 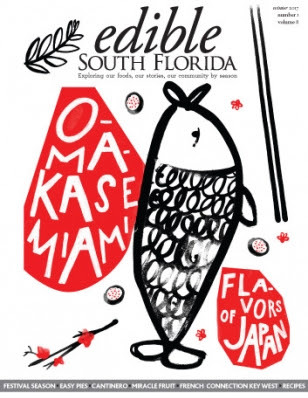 "Omakase Miami: Flavors of Japan" - Edible South Florida magazine, Winter 2017 (featuring Naoe, Makoto and Myumi). 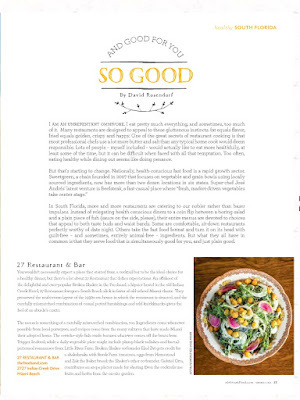 "Imperfectly Perfect" - Ocean Drive magazine, November 2016 (featuring Chef Michael Lewis of Kyu). 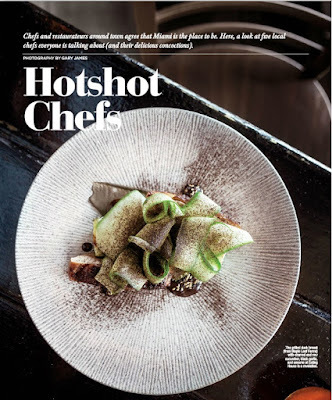 "Next Generation" - Edible South Florida magazine, Fall 2016 (featuring John Gallo and Rene Reyes of Pinch Kitchen, Michael Beltran and Dallas Wynne of Ariete, and Mike Mayta and Keily Vasquez of Dusk). 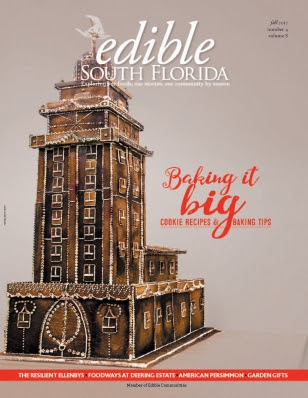 "A Dozen Delicious Dishes" - Edible South Florida magazine, Spring 2016 (featuring Café Curuba, True Loaf Bakery, Noor Bakery, Threefold Café, Sucre Café, Green Gables Café, Dirt, 545 Banh Mi Café, The Salty Donut, Al's Coffee Shop, Clive's Café, and Toasted Bagelry) . 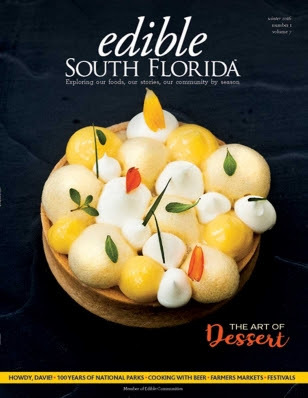 "The Art of Dessert" - Edible South Florida magazine, Winter 2016 (featuring Antonio Bachour of Bachour Bakery + Bistro, Joshua Gripper of The Dutch, and Nelson Fernandez of Byblos). 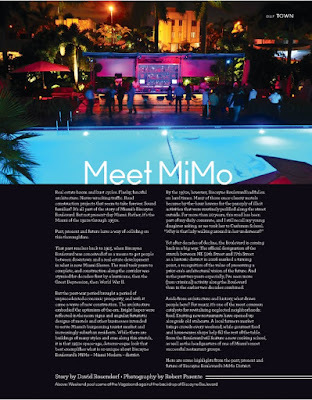 "Meet MiMo" - Edible South Florida magazine, Fall 2015 (featuring Jimmy's Eastside Diner, Cena by Michy, Blue Collar, Vagabond, Loba, and Ms. Cheezious). 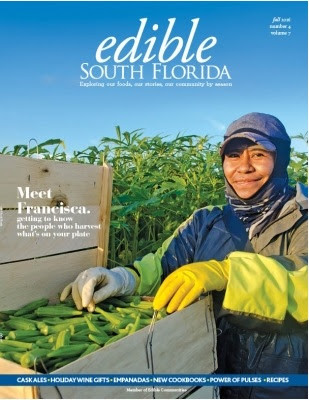 "So Good and Good For You" - Edible South Florida magazine, Summer 2015 (featuring 27 Restaurant, Basil Park, Jugofresh, Choices Cafe and Day Market Kitchen). 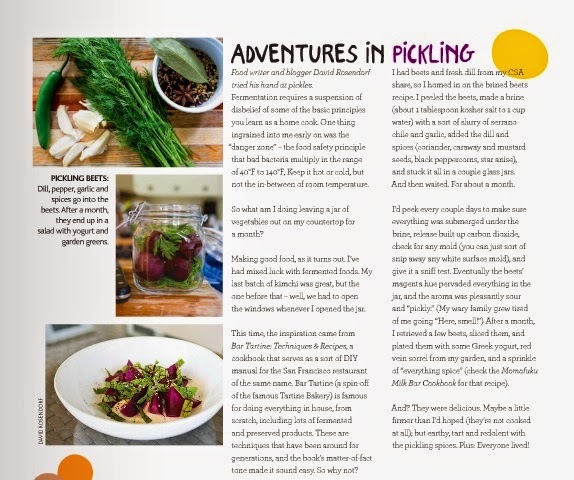 "Adventures in Pickling" - Edible South Florida magazine, Spring 2015. 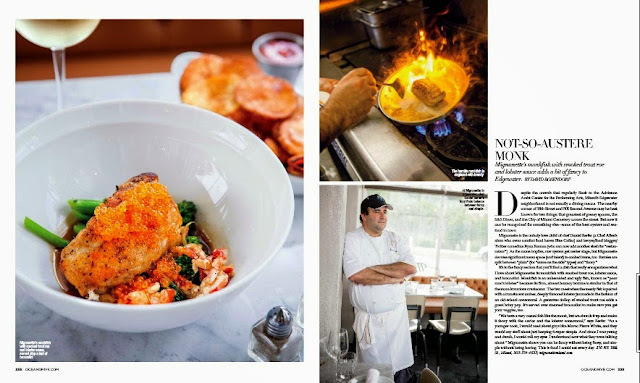 "Not-So-Austere Monk" - Ocean Drive magazine, November 2014 (featuring Mignonette's monkfish with smoked trout roe, lobster sauce and broccolini). 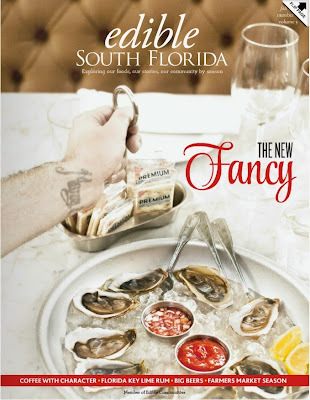 "The New Fancy" - Edible South Florida magazine, Fall 2014 (featuring J&G Grill, Mignonette, 1826 Restaurant & Lounge, Shikany, Market 17, and Cypress Room). 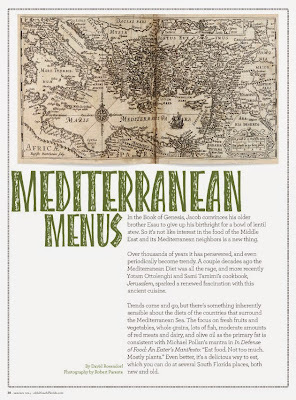 "Mediterranean Menus" - Edible South Florida magazine, Summer 2014 (featuring Etzel Itzik, Kabobji, Falafel Benny, Fez, Zak the Baker, Bar Meli, and Mina's Mediterraneo). 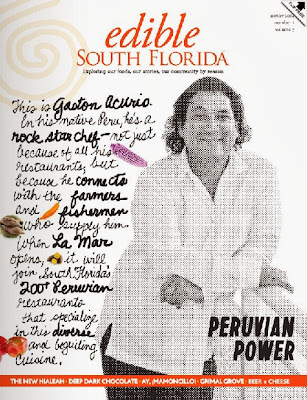 "Peruvian Power" - Edible South Florida magazine, Winter 2014 (featuring Gaston Acurio of La Mar, Francesco, Limon y Sabor, Aromas del Peru, Mixtura, Sr. Ceviche, and Jean Paul's House). 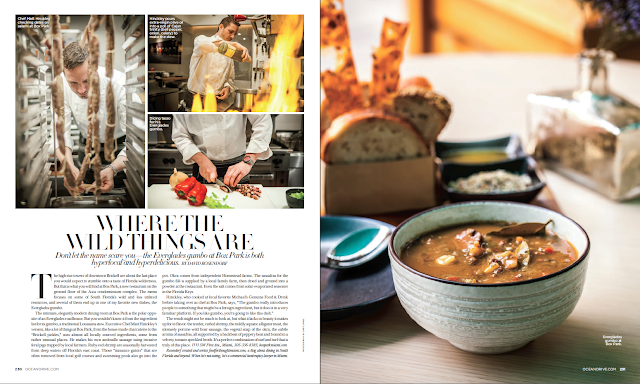 "Where the Wild Things Are" - Ocean Drive magazine, November 2013 (featuring BoxPark's Everglades Gumbo). 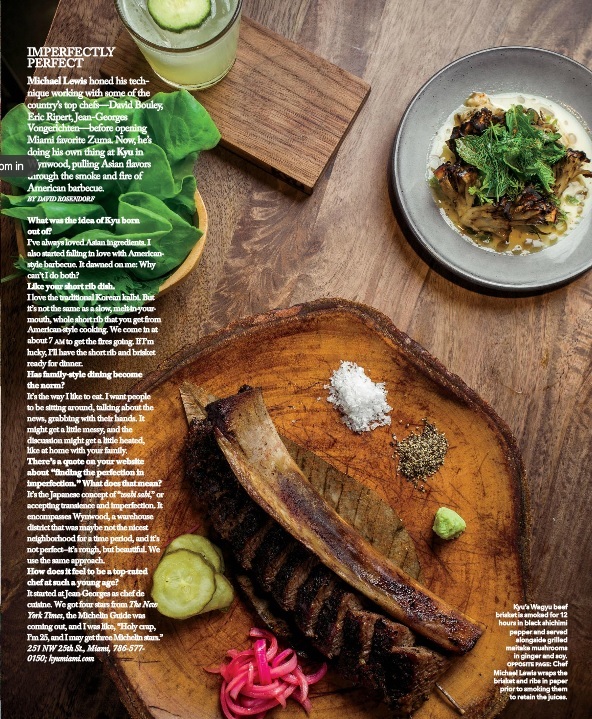 "The Local Kitchen" - Edible South Florida magazine, Fall 2013 (featuring Aaron Brooks of Edge Steak + Bar, Matt Hinckley of BoxPark, and Roel Alcudia of Cypress Room). 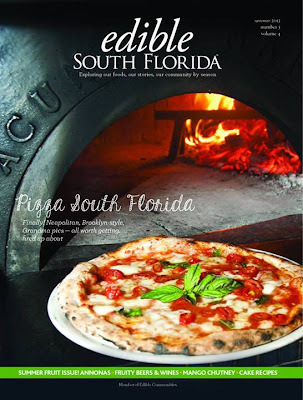 "Pizza South Florida" - Edible South Florida magazine, Summer 2013 (featuring Scuola Vecchia, Lucali Miami, Nick's New Haven Pizzeria, Kings County Pizza, and Pizzeria Oceano). 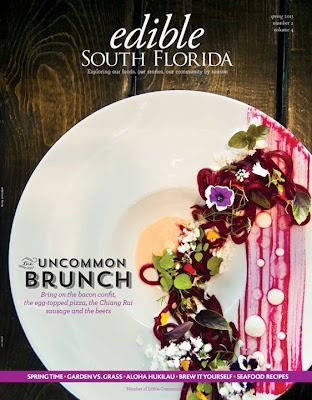 "Uncommon Brunch" - Edible South Florida magazine, Spring 2013 (featuring Eating House, Khong River House, Blue Collar, PB Steak, and Harry's Pizzeria). 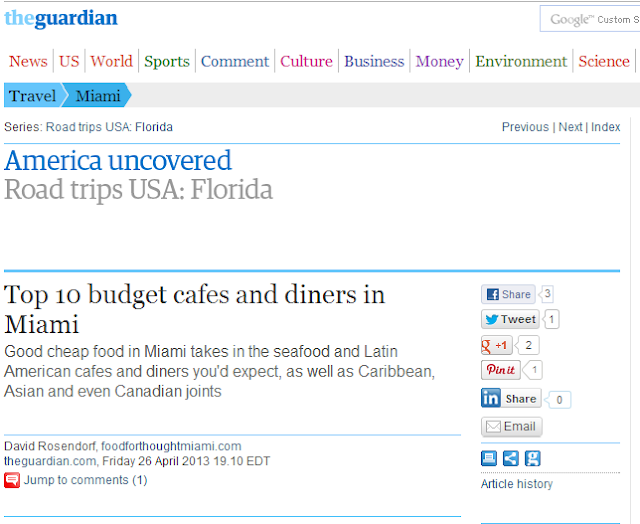 "Top 10 Budget Cafés and Diners in Miami" - The Guardian, April 26, 2013 (featuring Joe's Stone Crab, El Mago de las Fritas, La Camaronera, El Rey del Chivito, B&M Market, Dairy Belle, Bulla, Sakaya Kitchen, Su Shin Izakaya, and River Oyster Bar). 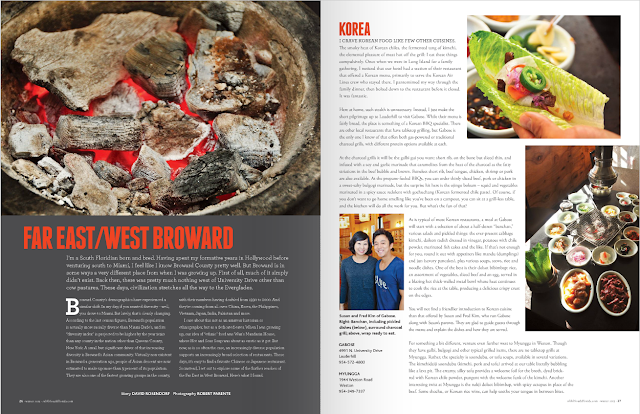 "Far East / West Broward" - Edible South Florida magazine, Winter 2013 (featuring Gabose, Myungga, Noodle House, Pho 78, Panya, and Indo Quest). 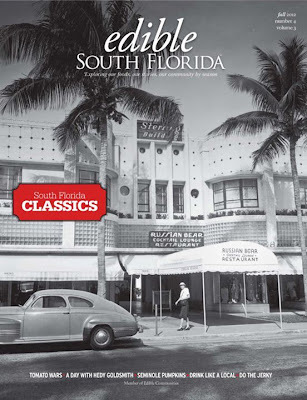 "South Florida Classics - The Deli" - Edible South Florida magazine, Fall 2012 (featuring Josh's Deli). 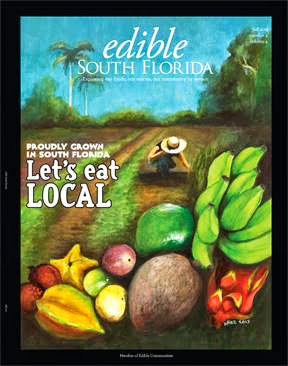 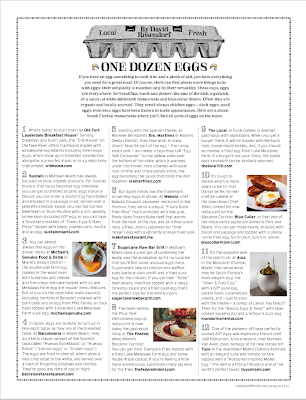 "One Dozen Eggs" - Edible South Florida magazine, Spring 2012 (featuring Old Fort Lauderdale Breakfast House, Sustain, Michael's Genuine Food & Drink, Barceloneta, Sra. 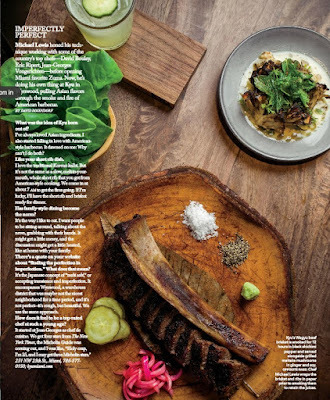 Martinez, Makoto, Sugarcane Raw Bar Grill, The Federal, The Local, Blue Collar, Azul, and Tuyo). 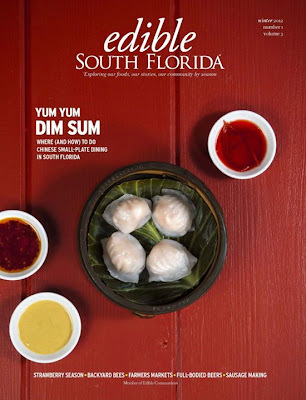 "Dim Sum Diaspora" - Edible South Florida magazine, Winter 2012 (featuring Tropical Chinese, Kon Chau, Chef Philip Ho, Chu's Taiwan Kitchen, and Hakkasan).